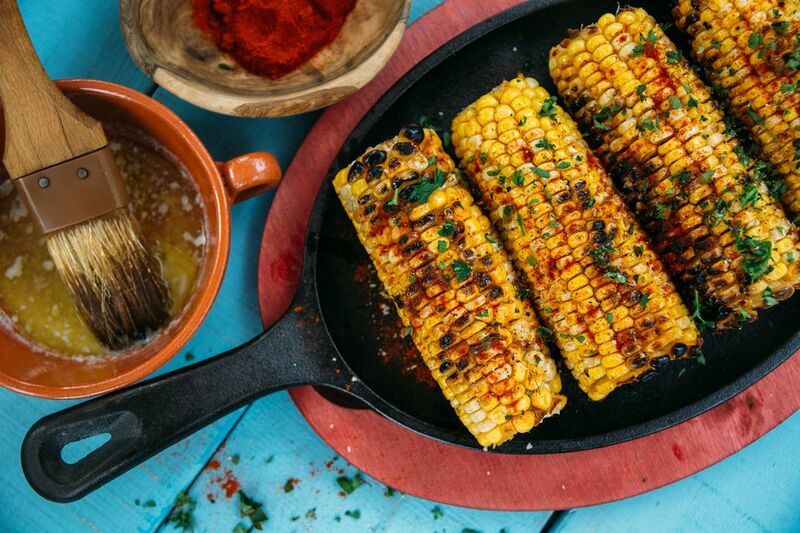 Sweet and spicy, with the warm familiar taste of melted butter, this corn is the ultimate decadent taste experience and yet, so simple to prepare. As always, add or decrease the amount of Chipotle powder to your liking. 1. Clean corn and place in a tub of water for 1 to 2 hours. Combine remaining ingredients in a small bowl. 2. Preheat grill for medium heat, place corn onto the grill and cook for 3 minutes, turning frequently. For the remaining 7 minutes, baste corn with Chipotle-garlic mixture. Make sure to coat well and continue turning corn. Once corn is cooked through, remove from heat and serve.